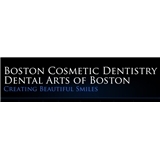 Dental Arts of Boston (Boston) - Book Appointment Online! Our practice and Dr. George Stevens' long standing record of accomplished makeover and reconstructive dentistry have become well known to our local patients as well as patients from all over Massachusetts. As a Boston Cosmetic Dentist, Dr. Stevens and his team at the Dental Arts of Boston provide cosmetic dentistry including Invisalign, Dental Implants, Teeth Whitening, Veneers and more to patients in Boston, Beacon Hill & New England. WE ACCEPT ALL INSURANCES (as long as they allow you to visit any provider). What an excellent dentist! He is patient and peaceful, which makes a big difference in one's visit ... his assistant Michelle is great, too - and they make a great team. They do what has to be done very well - and they make "dreaded" appointments not so bad. I highly recommend Dr. Stevens to everyone. He has years of experience with all sorts of situations, so he really knows what he's doing and does it well. He and Michelle are just the best dental team you can find.